VATICAN CITY (CNS) — Pope Francis has approved a miracle attributed to the intercession of Blessed Teresa of Kolkata, thus paving the way for her canonization. 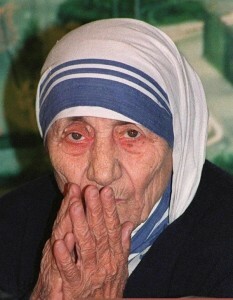 The then-newly married man’s wife had spent months praying to Blessed Teresa, and her prayers were joined by those of her relatives and friends when her dying husband was taken to the operating room Dec. 9, 2008. Pope Francis also recognized the heroic virtues of De La Salle Brother Leonardo Lanzuela Martinez of Spain (1894-1976) and Heinrich Hahn, a German surgeon.